Build this three-seater garden bench using the free woodworking plans available at the link. 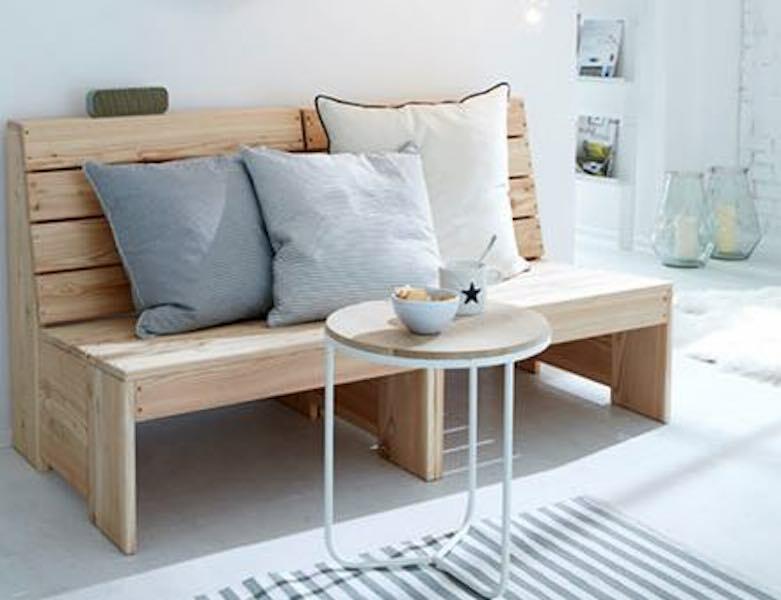 Be sure to buy your cushions first and then build the bench to fit. This outdoor storage bench is perfect for holding a couple of sturdy totes. Build it using this free tutorial. No fancy cuts needed to make this outdoor bench using 2 x 4s. Free plans provided at the link. Build this outdoor bench using the free step-by-step woodworking plans at the link. Outdoor Bench free woodworking tutorial. Build this fun double X bench using these free step-by-step woodworking plans. Finished bench measures 42 inches long.